Today’s townland is Ballyhackamore, an eastern suburb of Belfast. According to the PLACENAMESNI website, the name Ballyhackamore is linked to Irish words like cac “excrement” and cacamas “refuse, dross”. The Irish version of the townland name is Baile an Chacamair, which means “townland of the slob land or mud flat”. So my job today is to persuade you that Ballyhackamore is nicer than it sounds. Does this photograph help? Ballyhackamore is now Bally-eat-a-more. 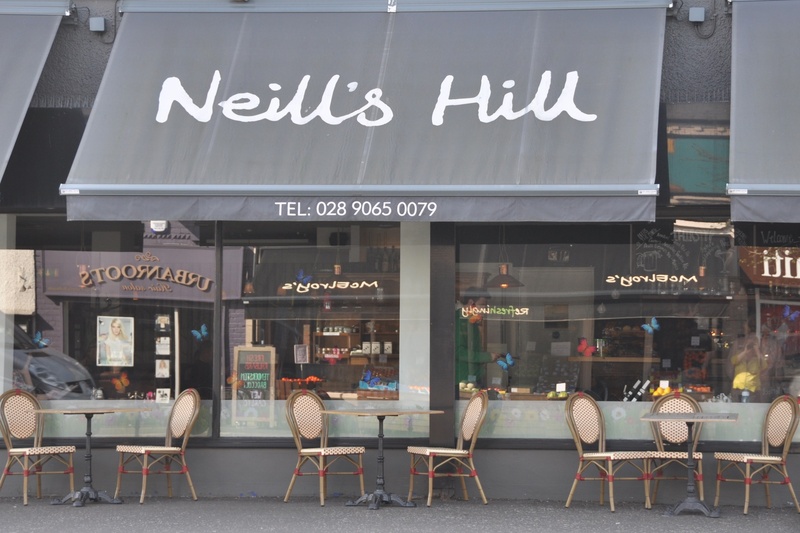 Neill’s Hill is one of many restaurants clustered around the Upper Newtownards Road. It’s named after a station on the Belfast & County Down Railway, which closed in 1950 and is now the site of the Comber Greenway. You can access the Greenway in Ballyhackamore at Beersbridge Road (pictured below), North Road and (best for the restaurants) Sandown Road. There were two other reasons why I walked so quickly to reach Ballyhackamore: I was struggling to keep up with Lottie and Teddie. 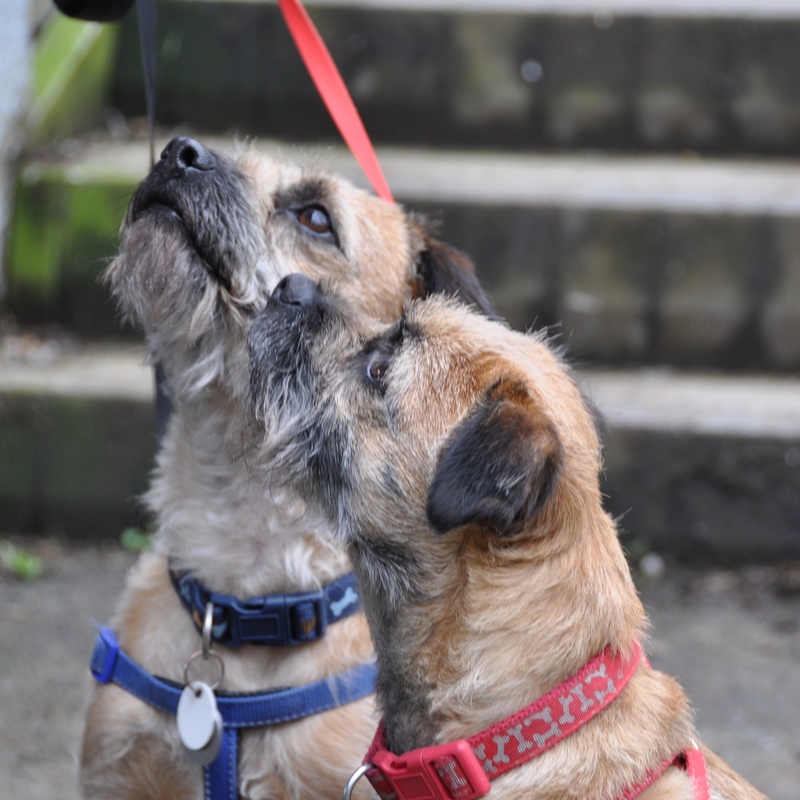 They are pictured here just before they scrambled up the steps at North Road pulling my friend Heather behind them. The Greenway continues towards Belfast by crossing the Holywood and Newtownards Roads at the junction still known locally as the “Holywood Arches”, even though the stone arches which carried the railway are long gone. Once you are safely across, pause to admire the sculpture. Can you guess which author, born in Belfast in 1898, is celebrated here? The wardrobe may have given you a clue: this is the C.S. Lewis sculpture by Ross Wilson. 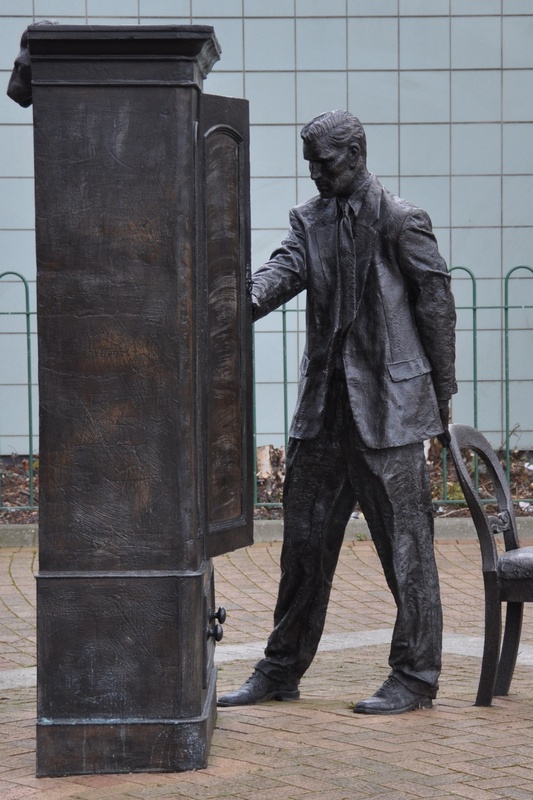 Back to the name: why would Ballyhackamore of the lovely bistros and sculptures be dross? The townland’s western boundary is another river – the Connswater – which may have been a muddy estuary into Belfast Lough before modern land-reclamation schemes. The question is, will I need my wellies to walk through the next townland of Ballymacarret? I hope not: the river and its banks are being rejuvenated by the Connswater Community Greenway Project. 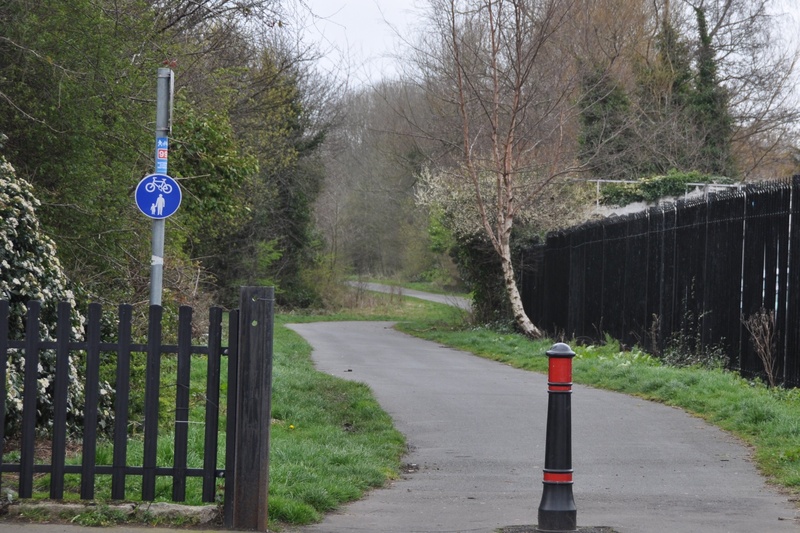 The Connswater Greenway is now open, extending from a hub at the newly landscaped C.S. Lewis Square. Walk past the wardrobe sculpture and you now see a white witch and a lion! Best of luck and enjoyment with the blog. Tim. Thank you. It’s been great fun so far. When I see how many townlands there are in County Down alone, I think I may have bitten off more than I can chew! I’m losing count of the number of times I look up something about townlands on the internet, and find the answer in your blog!